1.Document cases of the black market antiquities trade; primarily through war. 2.Display how the looting, pillaging, and destruction of ancient artifacts affects the local populations of those countries. 3.Support various professional organizations that work on mitigating the black market archaeological trade. 4.Show links and resources of the trade and possible locations of stolen antiquates. Neo Antiquity aims to bring awareness in the ongoing black market selling of ancient artifacts and relics, which is illegal under international law. Through scholarly sources, social media, and various media outlets, we plan on reaching out to as many people as possible to the severity and repercussions of the antiquates trade. 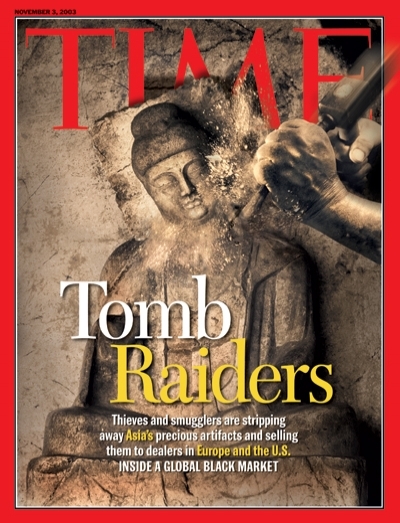 •Both the Hague Convention for the Protection of Cultural Property in the Event of Armed Conflict and the UNESCO 1970 Convention passed international laws making it illegal to trade, pillage, loot, sell, and destroy artifacts.